Amazon – Mr. Clean Magic Eraser Original, Cleaning Pads with Durafoam, 8 count just $5.99 after Coupon! Choose “Your Amazon Day” for FREE Prime Shipping! 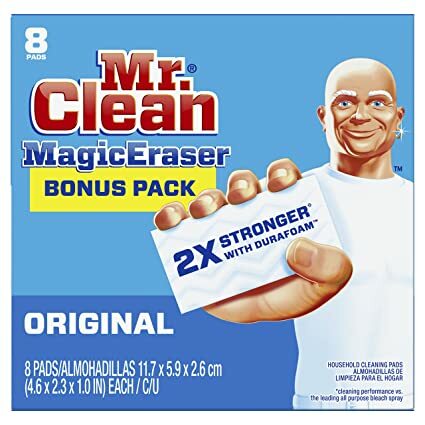 Amazon is offering a nice deal on Mr. Clean Magic Eraser Original, Cleaning Pads with Durafoam, 8 count for $6.99 – $1 coupon on the product page = just $5.99! This is an ADD-ON item, BUT Prime members can choose “Your Amazon Day” at checkout to have this shipped for FREE!